​We believe our gallery of customer pictures speaks for itself. ur craftsmen have years of extensive pool table knowledge and proven construction techniques that yield the most exquisite pool tables in the world. We take great pride in tables handcrafted with expert accuracy and loving care. Unique pieces of art that are built tough and are as reliable as quality antiques are from yesteryear. Custom woodworking mixed with state of the art techniques in order to create that perfect conversion combo pool table for you. Let us provide the table of your dreams to compliment the perfect living area! Our convertible pool tables are constructed to be both stunning dining tables and serious billiard tables. Their careful construction consists of an assemblage of solid wood, slate and professional cloth. Our tables have won international design awards. 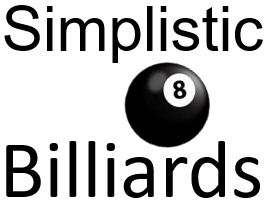 They have been chosen as the official game tables of all the international billiards tournaments. And they remain the best selling convertible pool table brand in the world. Our tables are chosen by property owners, businesses, interior designers and professional pool players around the world. We are proud a brilliant icon such as Sir Richard Branson himself owns one of our tables. Stain or "Paint so smooth to the look and feel ... transforming entertainment into exquisite pieces of art ~ and vice-versa." "Who says you can't have the best of both worlds!! When we moved to the new house we had decided to keep the pool table in our forfeited dinning area. It is a Great gathering area for my son and entertaining friends and family!! Well, we hosted the holidays this year for the family! Boy, did we miss the dinning area, and the kitchenette by no means would fit 10 people, oh my! My wife went into action.....research, hunting and blogging only to find Brian from Generation Chic Pool tables!!! One word sums it up AMAZING! We live in Florida and it was shipped from Nebraska! It was a rush because of the holidays and he was in contact with us every bit of the way. It was everything and more than we expected!!! In fact most of the holiday conversation was not about us and how we are doing but how we could eat dinner and then play a few rounds of pool afterwards, ha! We sat 10 at the table with plenty of room for serving trays. Great company, Great owner and Great product!! Happy New Year and God Bless!" ​We have BCA certified installers in all 50 states, so professional pool table installation can be done wherever you may live.